The long-awaited 20th Century Fox Queen biopic Bohemian Rhapsody is ready to rock (you…) and, with a release date of 2 November 2018, issues surrounding its somewhat laboured production have faded in the glare of the admittedly excellent trailer that dropped just a few weeks ago. If you’ve somehow missed the trailer you can enjoy it (yet again) here. According to IMDB.com it’s… ‘a chronicle of the years leading up to Queen’s legendary appearance at the Live Aid concert in 1985…’ and, with casting for the actors who are playing the four band members completed and announced in early 2017, guitarist Brian May has been sharing images and video clips to whet the appetite of the fans ever since. 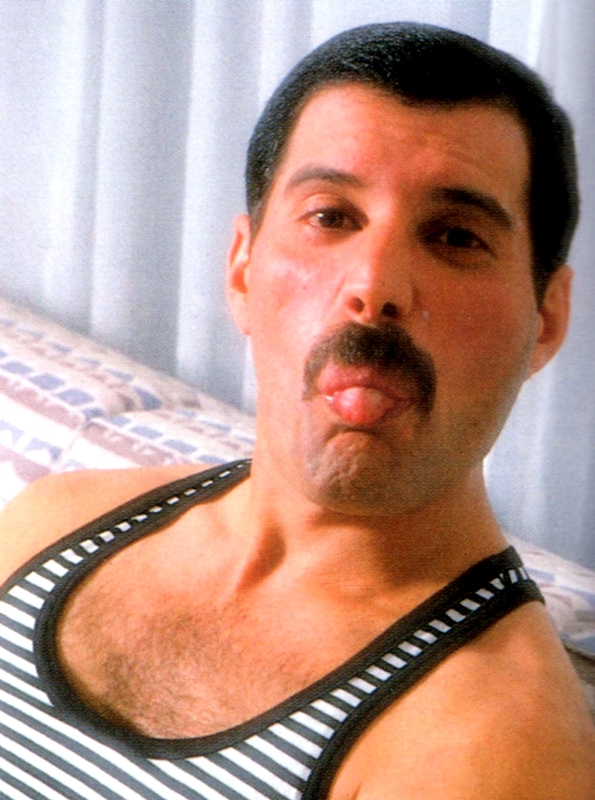 The trailer, although perhaps understandably concentrating on actor Rami Malek in his guise as Freddie Mercury, also shows fleeting glimpses of Gwilym Lee, who’s playing Brian, on various stages with a Red Special in his hands. 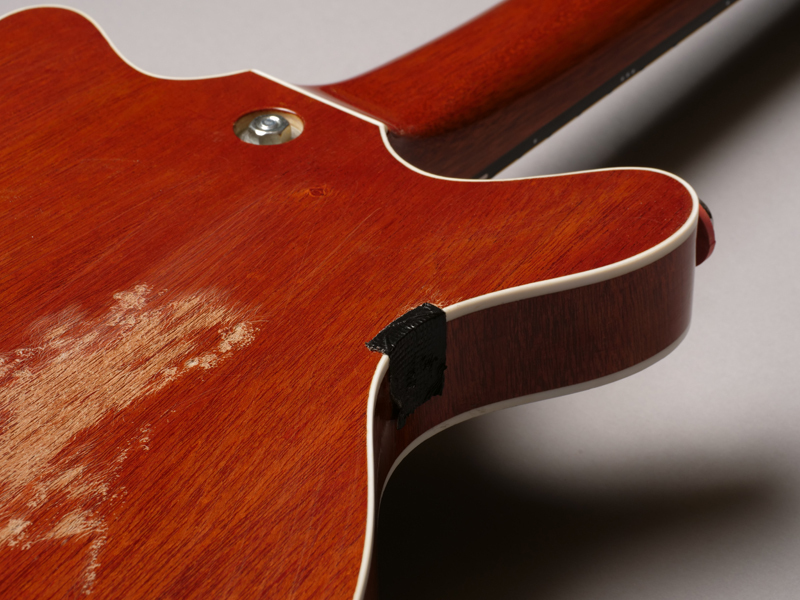 Whilst obviously not the original, online discussion forums and chat rooms have been chewing over what the guitar might have been and who’d made it, and, while the identity of the luthier in question was hardly a huge secret, details have been scant until now. 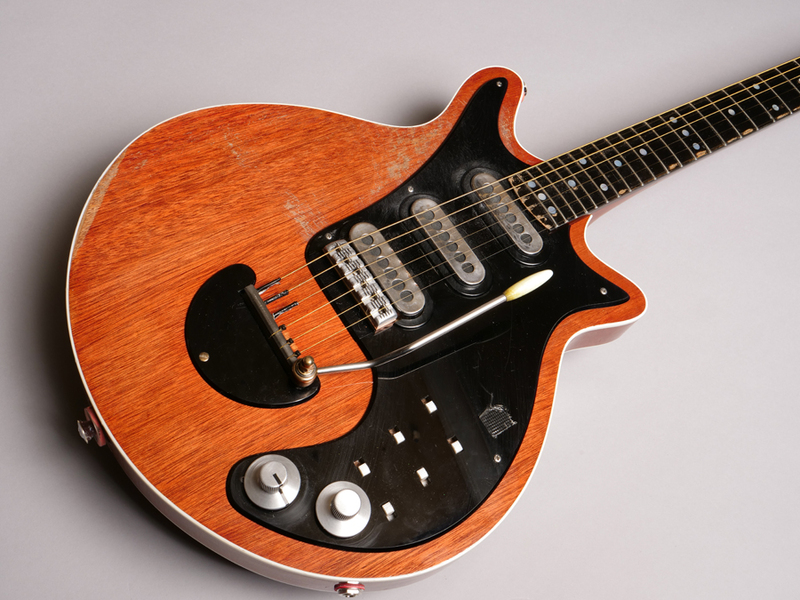 In a TheRedSpecial.com exclusive we caught up not only with Brian himself, but also the creator of two guitar props for the film, the indomitable Andrew Guyton, to get the full story. 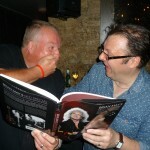 The interview with both Brian and Andrew took place in October 2017. All images (c) Guyton Guitars. Used with permission. All rights reserved. Do not redistribute. 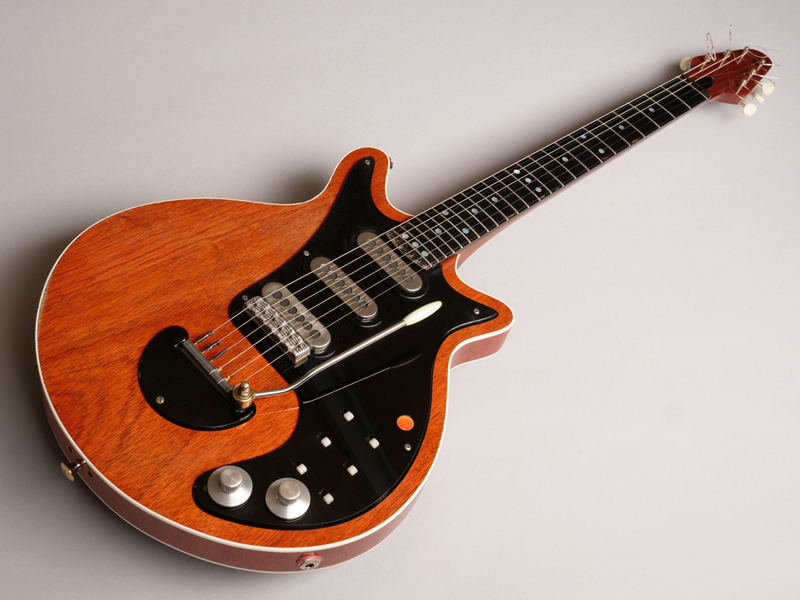 Brian May: Andrew Guyton was asked to make guitar props for the film and he’s made, I think, two different guitars that represent my Red Special from the past. One’s for Live Aid and the other’s for Madison Square Garden in the seventies, and he’s made them absolutely faithfully to the appearance and condition of the guitar at those moments: it’s uncanny to see it. Times when it had bits of tape holding it together, times when the fretboard was all worn down and had lost some of its colour, and lots of damage to the body, and he’s reproduced everything in the finest detail. Andrew Guyton: They emailed me saying they needed some props for the film, but they didn’t really know what they should do. At the beginning they thought they would modify some BMG Supers, but they asked me if I could build three in three weeks. That was the initial idea but I just told them that it simply couldn’t be done in that time. 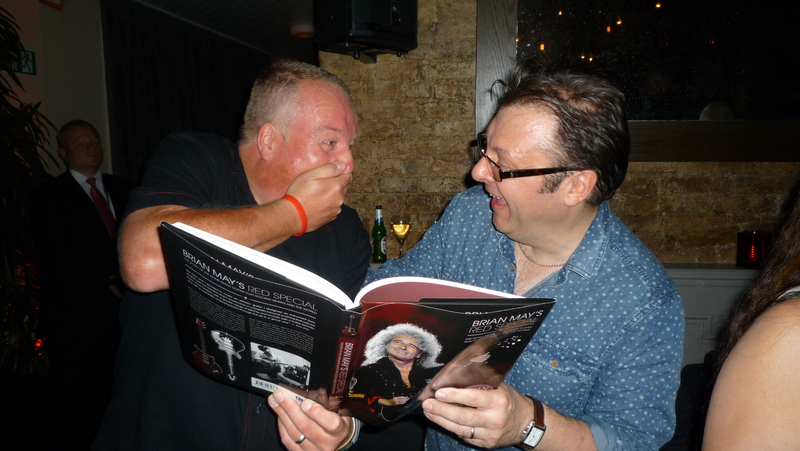 After quotes and a bit of backwards and forwards we agreed that I should build two, one from the Bohemian Rhapsody recording era and another from Live Aid. We tackled that one first and it took two weeks – in fact they each took two weeks to build – but they were both done in time! BM: The one that Gwilym, who’s playing me in the film, is using at the moment to do the Rockfield period has a little piece of red paper from Rymans over the hole that used to house the fuzzbox. He’s doing the scene where I’m recording the Rhapsody solo – I probably shouldn’t be telling you this! – and Freddie’s listening and commenting. I used to coil the strings around the machineheads and he’s reproduced that, and the exact amount of distress the fretboard and body had. It’s amazing. AG: I tried to get the ageing as close as I could given the timeframe. You just think of what the guitar goes through and what impact that has on it, like the forearm: you get gradual wear there. 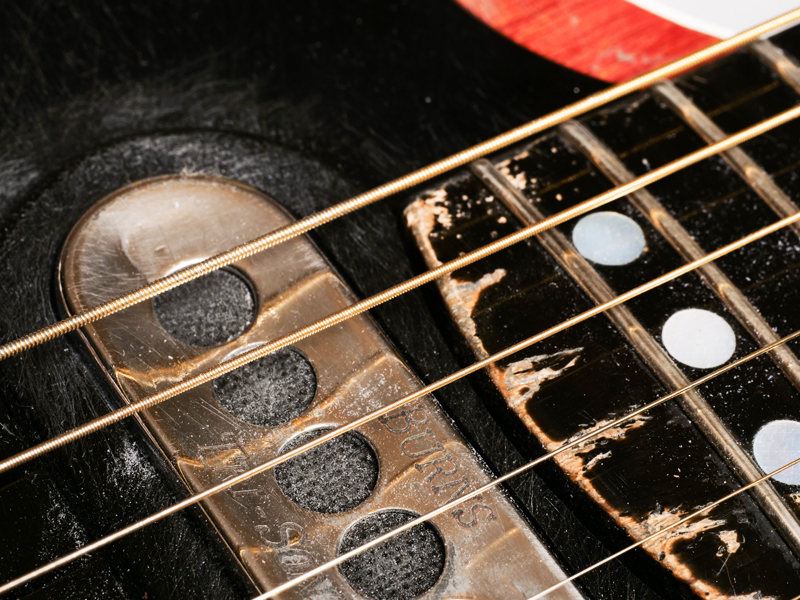 Obviously there’s a lot of sixpence damage and putting 30 years worth of damage into a guitar is quite tough. I used a wire brush into a drill to keep the sweep going and whacked the hell out of it, strummed it good and hard, with a fifty pence piece. RS.com: What reference material did you use? AG: We went through all the pictures we could find and we had help from Greg Brooks and the [Queen] archive. He sent me a lot of images, especially of the seventies one as although there are quite a few pictures floating around, not many have any detail. One of the things we really got stuck on was the indicator on the volume knob [of the Live Aid-era prop]; it seemed to change every few years. RS.com: Were there any other issues? 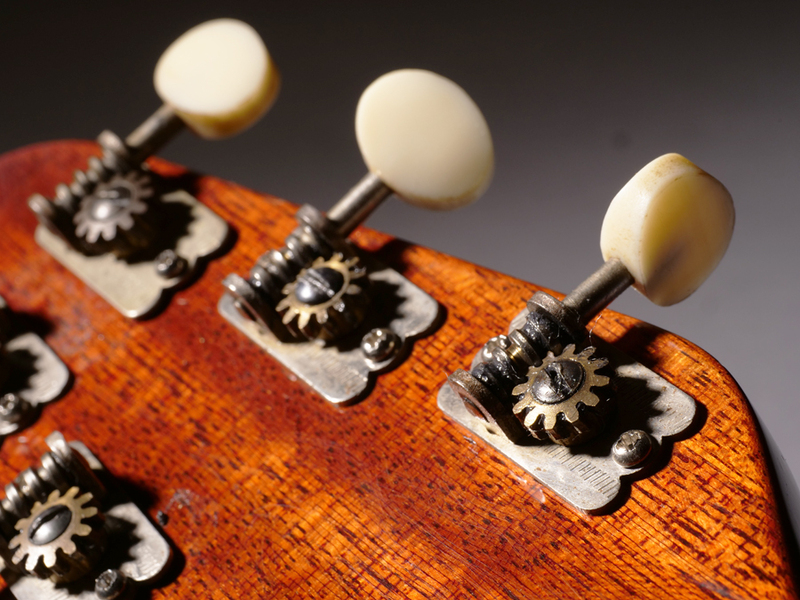 AG: The tuners on the seventies one were a major problem; trying to find those online was a nightmare. 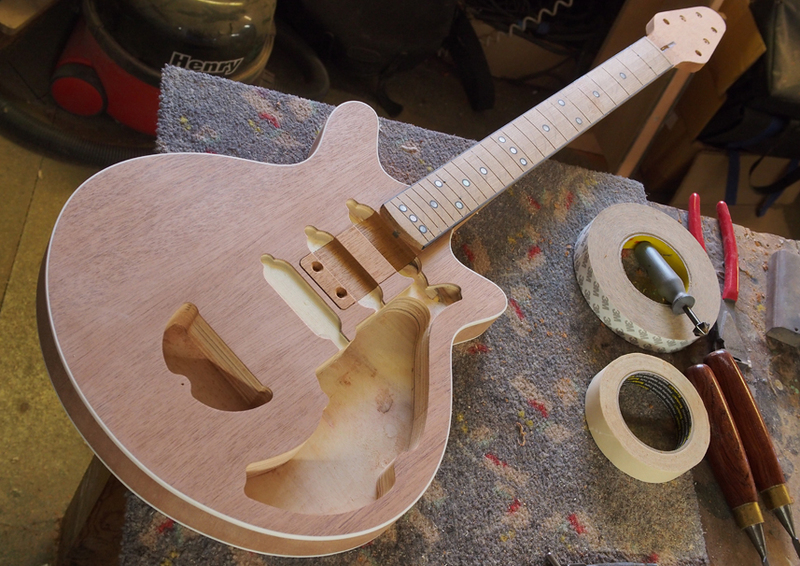 So I spoke to [fellow luthier] Martyn Booth to see if he had any in his parts bin and he basically donated the ones off his first guitar. He was sure, so fair enough. They were ‘six in line’ so we had to modify three of them to turn them the other way, which wasn’t as bad as I thought it was going to be. 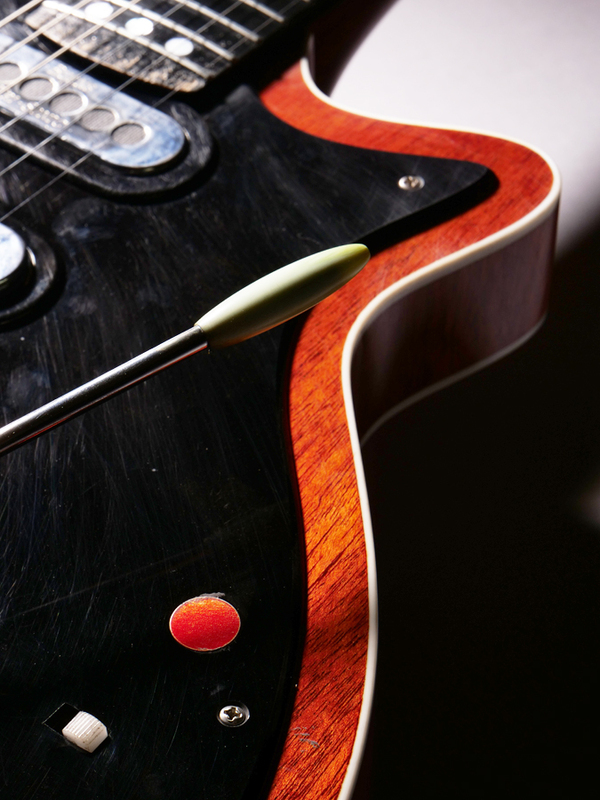 It’s fiddly, but you approach it in the right way: I literally couldn’t do anything else for the tuners. It’s not like it has to be road-worthy, they just have to hold in tune and not fall off! AG: The machineheads for the Live Aid version were like the old design Schaller M6s, and I wasn’t sure where I could get some of those from. I looked in the workshop and I’ve got an old Gibson Melody Maker that had been modified with these exact tuners, so we used those. 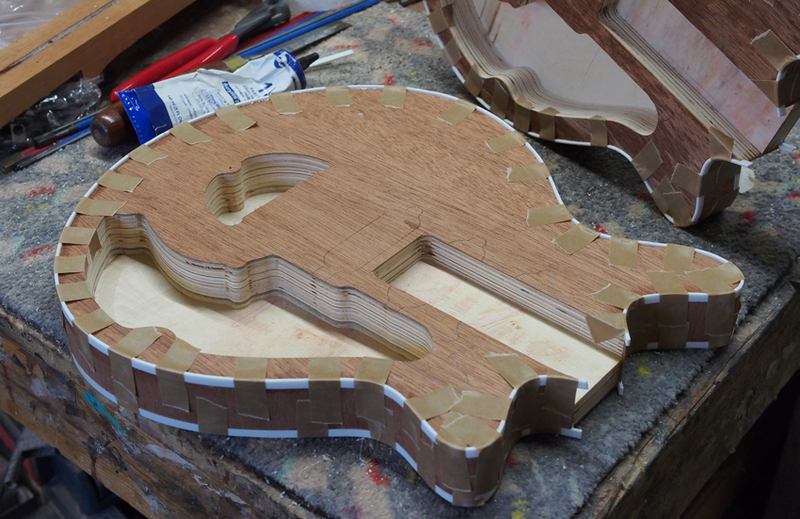 RS.com: How close is the construction of the props to that of the original Red Special? AG: The necks are mahogany with oak fingerboards and the only reason I used [those materials] was that I already had the necks made for the Transporters. That saved a lot of time. The bodies are plywood, just laminated up then veneered and bound like the real thing, and finished in the Rustins plastic coating. RS.com: The pickups look good. Where did you source those? AG: Adrian Turner supplied the covers, which were pre-worn. There aren’t any coils inside so the pieces of rubber [visible through the holes in the covers] are kept in place with layers of plywood. 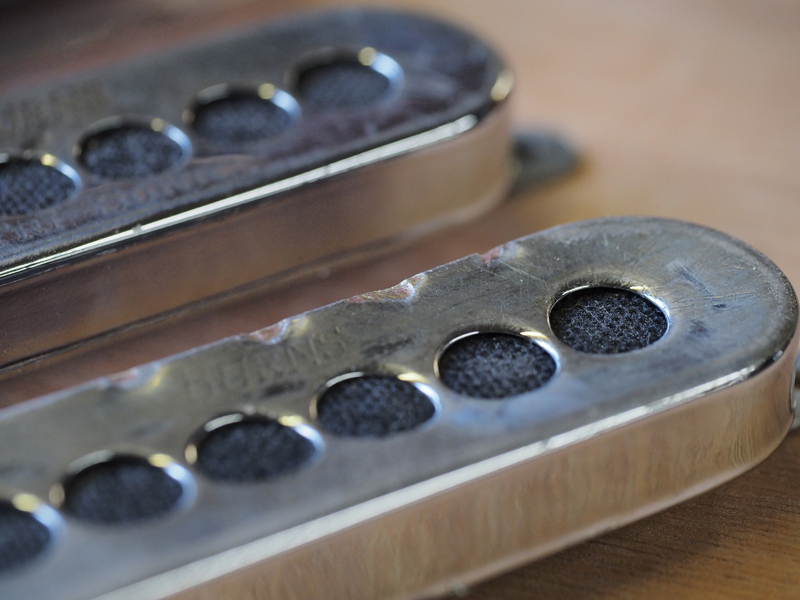 The only reason we didn’t get them working was that we just didn’t have time to get some pickups wound. AG: Well, it’s modern plastic so it’s a bit of a toughie because it’s difficult to stain and it’s made to be UV-stable too. I used some concentrated stains but if you use it too much it just tends to come off: it was a tough one. RS.com: But do they actually function as guitars? 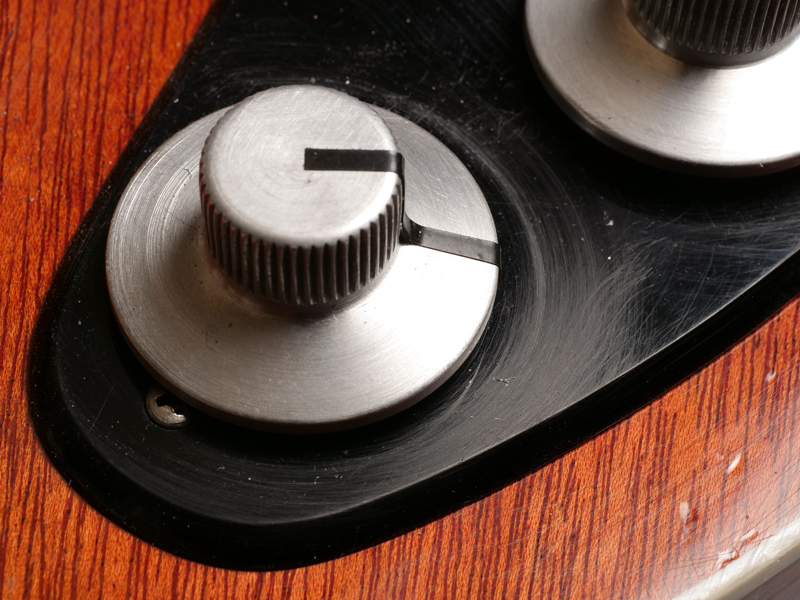 AG: They’re dummies but everything works mechanically – the switches move, the volume and tone pots move and the pickups are there – but there’d be no sound if you were to actually plug them in; nothing’s wired up. 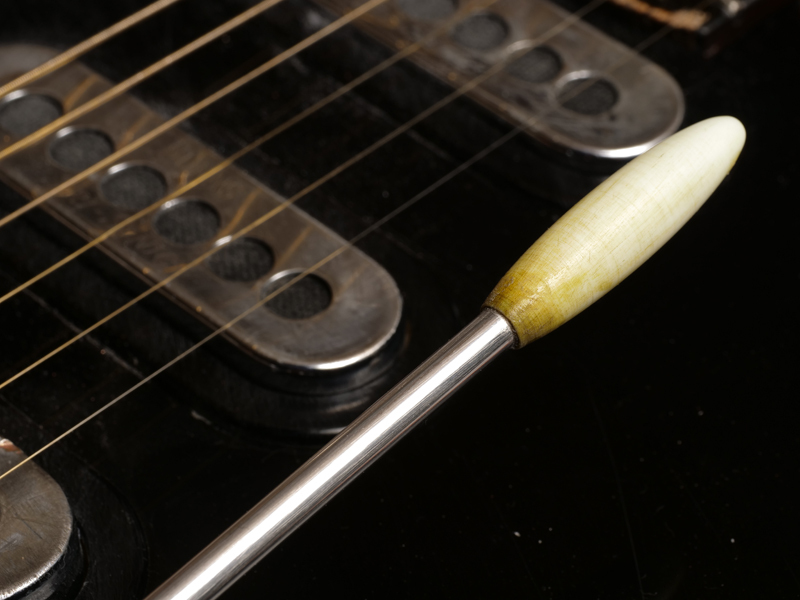 There’s no truss rod either and we tried to think of every way, not to cut corners as such, but to save time. BM: And they do play, they’re proper guitars. I don’t know what we’ll do with them, maybe something for charity. That’d be nice. Keep an eye on Andrew’s website http://www.guytonguitars.com/ as, when he gets the time in his hectic schedule, he’ll post a gallery featuring many more great shots of both prop guitars.